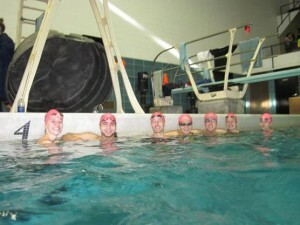 Club Swim meets are a fun way to show off your hard work from practice, as well as get to know your own team and other New England college club swim teams!! 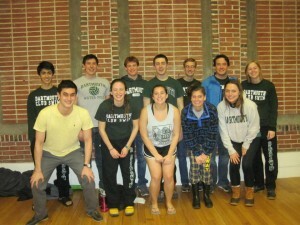 In the 2012-2013 season, Dartmouth Club Swim Team has participated in three swim meets, at Northeastern University, University of Vermont, and home at Dartmouth. Results from some of these meets can be viewed here. 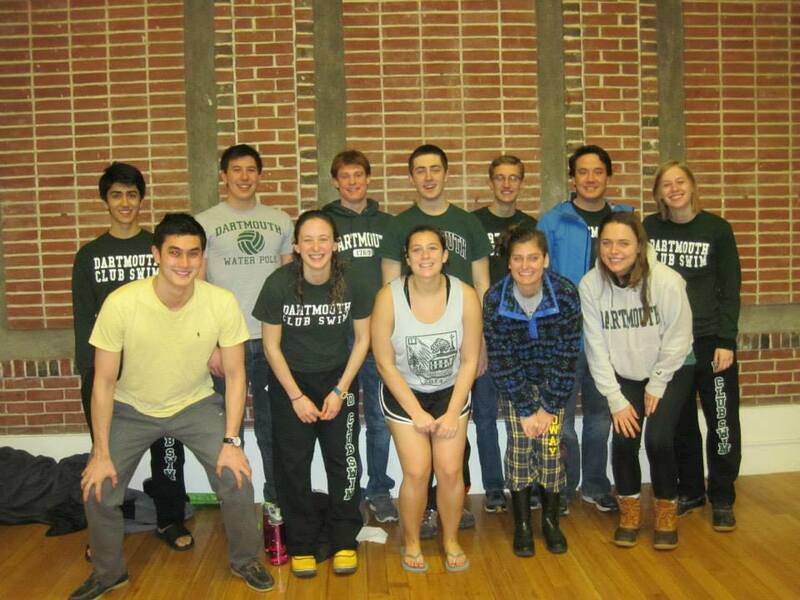 In the 2013-2014 season, Dartmouth Club Swim Team participated in a meet at UMass Amherst. Results from this meet can be viewed here. 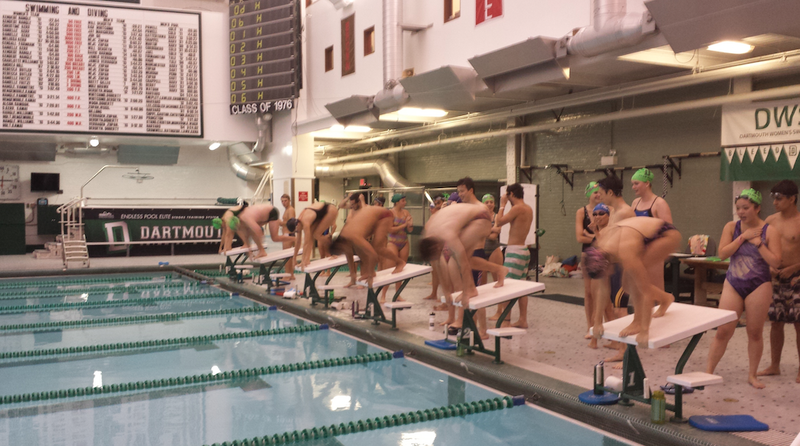 In the 2014-2015 season, Dartmouth Club Swim had a record number of meets – we attended a total of 5 meets over the year, along with an intrasquad meet each term to introduce team members to the format of competitions. The venues for and results from each meet can be viewed here. 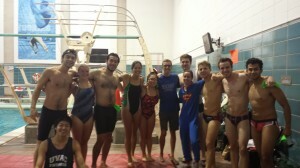 For future meets, we will post information here as well as blitzing out to the club swim list. 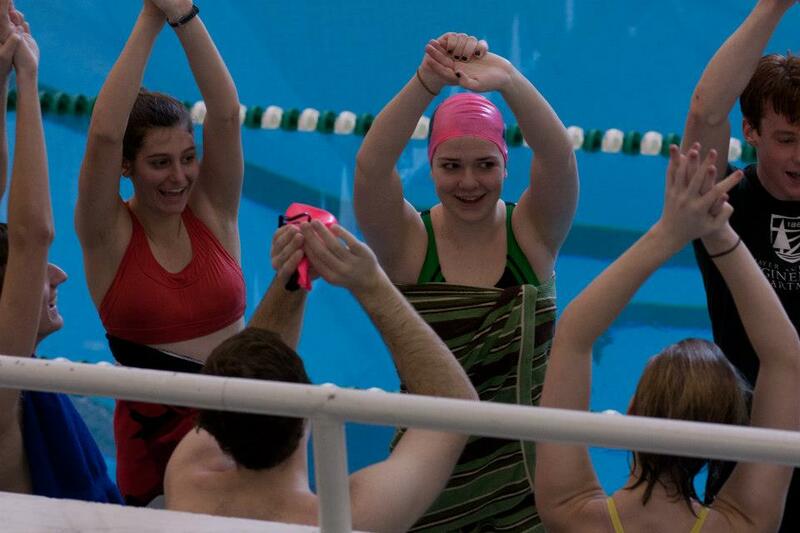 If interested, you will be able to chose your own events, which vary slightly between meets. We hope you will join us at our next meet! If you are on a Club Swim team in the New England Area and would like to coordinate a meet for our teams, please contact the team’s leadership at Dartmouth.Club.Swimming@dartmouth.edu. We look forward to hearing from you! 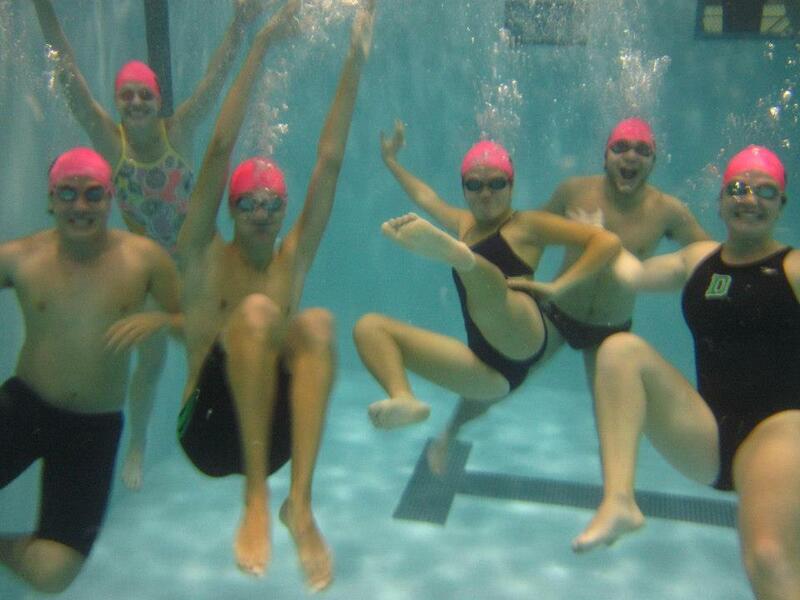 Club Swim playing around after a job well done at a travel meet! 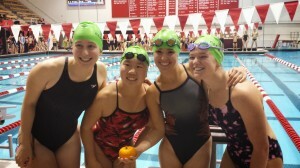 Our women’s PUMPKIN RELAY at Harvard after their great race! 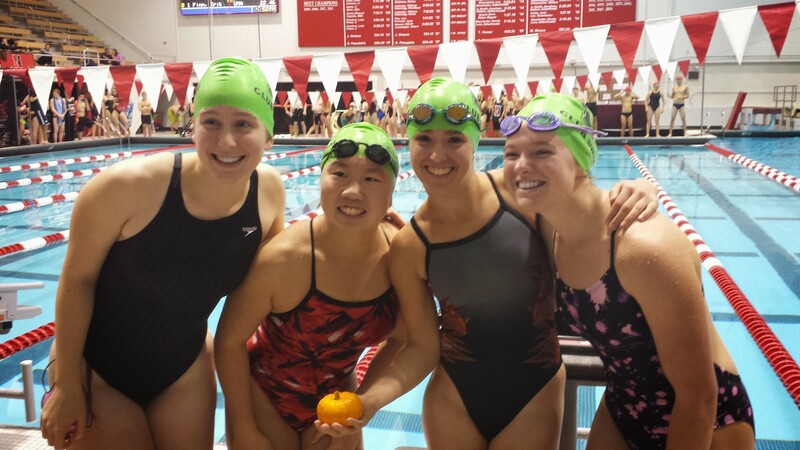 Club Swim taking a family photo after our Northeastern Invitational in 14F! feat. Andrea’s onesie!